Émilie Brout & Maxime Marion live and work in Paris. Their work has been the recipient of the Fondation Schneider Prize (FR) and was included in the 5th Moscow International Biennale for Young Art. 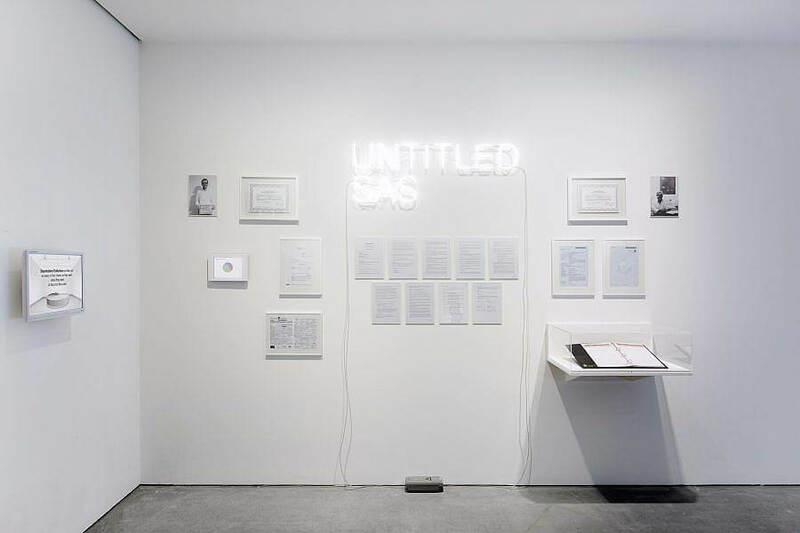 Previous exhibitions include at OCAT Shenzhen; Seongnam Arts Center; Kunstraum LLC gallery, New York; RedLine Contemporary Art Center, Denver; Carroll/Fletcher, London; Museum of Modern and Contemporary Art of Rijeka; Sperling Münich; Centre pour l’Image Contemporaine, Geneva; Telecom Italia Future Centre, Venice; Centquatre, Paris; Cité de la céramique, Sèvres; Maison Populaire, Montreuil. Recent and current solo shows include at Steve Turner (Los Angeles, USA), Villa du Parc (Annemasse, FR) and Pori Art Museum (Pori, FI). We are an artist duo working together for almost ten years now, since our studies at the EnsadLab in Paris. We are essentially working about, with and on the internet, with a big interest in its culture and its uses. We can use a great variety of media: installations, prints, websites, paintings, and often videos. We like to test the boundaries of the media and their reception context. We are currently showing several new works in a solo show at La Villa du Parc in Annemasse (France), titled “You should only have eyes for me”. It is a bourgeois villa turned into an art center, and it was very interesting for us to invest it, notably for its domestic side. 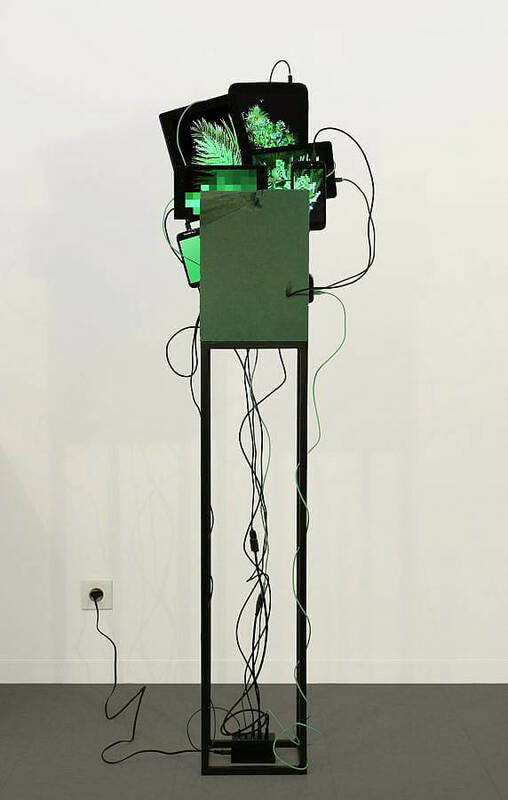 All the works (with five new video installations) are about what we can take from the Internet and what we accept to give to it, at different levels. 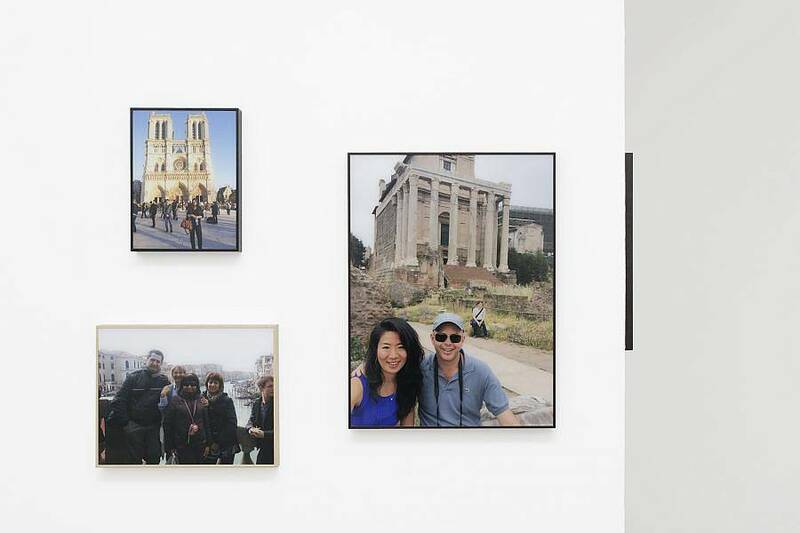 Most of them are both present online and in the exhibition space, like Ghosts of Your Souvenir, a collection of self-portraits outsourced to tourists: we wait for hours in very famous places, note when and where, and then find them afterwards on social media thanks to the metadata of the posted pictures. This was the first time we directly appeared in our work. We often use existing documents or information, but in this show we made something very new for us: producing directly our own pictures. This is the case with our next big project, A Truly Shared Love, a video about our life and our relation as a couple and an artist duo. But for each scene, we decided to follow the rules of platforms like shutterstock for footage contribution. By fulfilling their specifications (professional filming, short length, no sound, stereotyped colors and framing, etc.) we added some distance to get closer, give something true and sincere. It also reflects what we all do, dealing with our own image uploaded for free on commercial platforms – here on an almost tragic level. The video we just made is a first step, playing with the codes of movie trailers, and was completely shot in our studio. If the clips are separately online without sound, the edited video has a soundtrack based on the keywords of each scene; it is a kind of reduced poetry of hashtags and titles. We think there is still a lot to explore with this approach. We often merge media, trying to test their limits. For example, our piece Dérives can be seen as a simple editing of movie footage where there is shown water (on all its forms). But when you look at it, after some time you realize that the movie will never end, evolving slowly from drops to storms and from glasses to sweat. It is in fact a neverending editing done in realtime by an algorithm we designed, based on more than two thousands movie excerpts. This piece was made after a long time where we collected a lot of documents. Our work is often the fruit of deep investigations, like with Les Nouveaux chercheurs d’or or Nakamoto (The Proof). This last piece is an attempt to create a forged Japanese passport paid in bitcoins on the darknet and including all the information we found about the creator of the famous cryptocurrency. We got a scan of the passport but we never received it, so we decided to show it on a scanner turned into a light box. The scanner reference is the same as the one the forgers used, according to the metadata of the picture they sent. We have a net based practice too, like with online generative videos (4 Million Year 2001: A Space Odyssey or b0mb, a new big project we will publish online soon based on a translation of “Bomb”, the famous poem written by Gregory Corso, into image search engine requests). We also work on the boundaries between physical and digital, like with the Return of the Broken Screens series (videos specifically made for used and broken display technologies, playing with their cracks and defaults) or works like Oasis Max Life, a houseplant composed of hundreds of animated GIFs. But perhaps our process is maybe changing a bit right now; we feel more free to work on instinct, with a focus on the question of writing (in the broader sense). What have you learned about yourself and practice through working collaboratively. As a couple of artists we talked so often about our respective practices that we didn’t know anymore who was at the origin of what, so we started to work together very naturally. Working with someone is great when the relationship is fluid, things are going fast, we can dig deeply. We can share the excitement at every stage! We like to collaborate with other artists too, for example we created with Caroline Delieutraz the Copie Copains Club (Copy Companion Club) a few years ago. It is a club where artists can copy each other freely in a constructive manner. Our piece Untitled SAS is both a work of art and a company (SAS stands for limited company in France), where shareholders are the most important thing. We meet every year at the General Meeting, which is actually a collective performance. We also asked some artist friend to participate in A Truly Shared Love, like Yannis Pérez who made the movie poster. What do you think the biggest challenges are within collaboration? Maybe to find the right collaborator? Collaboration need mutual respect, admiration and trust. It works well when the requirements and expectations of each one lead to something more rich and interesting, and without compromise. 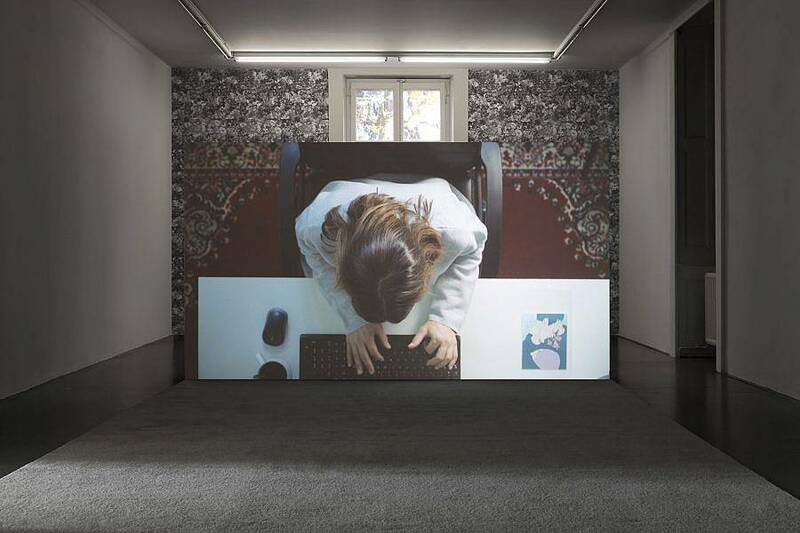 We recently went at the Julia Stoscheck Collection in Düsseldorf (Germany) which owns a very impressive video collection. The exhibition titled “Generation Loss” was curated by Ed Atkins, and it was one of the best show we’ve ever seen. The initial concept could seem risky (showing fifty videos from the whole collection only in diptychs), but it was amazingly made. Unlike a lot of thematic group shows, each work increased its power in connection with the others, adding new layers of reflection, without losing any of their individual integrity. Maybe it was because the curator is an artist, but we where touched by the sincerity of his approach, the respect of the works and the subtlety of the links between them. You can’t resume these works and this show in a few words, that’s something very inspiring. We moved in a living studio a few months ago. Even if we work a lot with computers it completely changed the relationship to work. It is not an extremely huge space, but it is crossing and there are high ceilings and large windows open onto gardens. We entirely made A Truly Shared Love in this space, moving all the furniture for each scene. 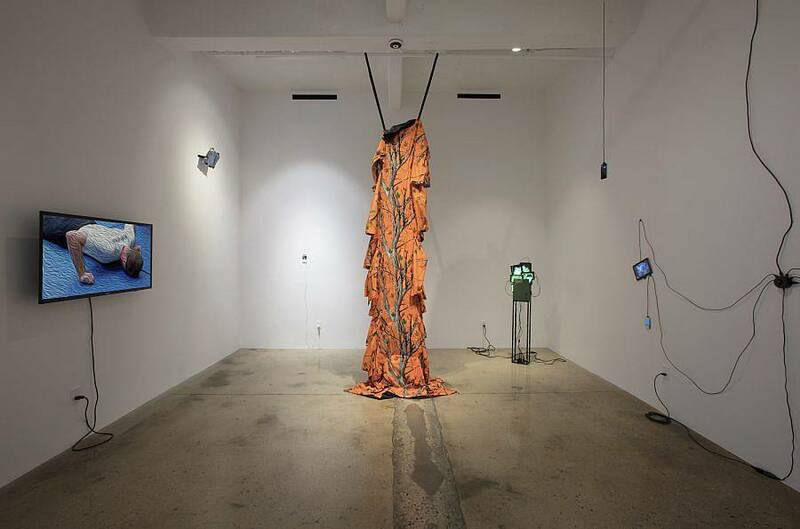 What is one thing you have to consider when showing digital work in a physical space? If our work is often based on technology and sometimes complex technical aspects, we like that it can be forgotten by the visitor. That does not mean hiding the cables or something like that, which we do not necessary like, but more to keep light the technical work behind, like it was easy to do, in order to let the viewer focus on what’s important. 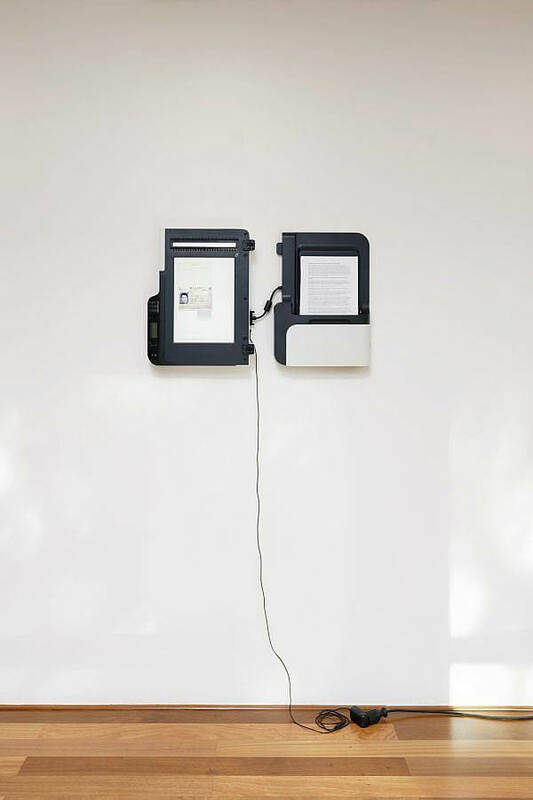 We also consider the differences between the digital and the physical spaces, which are mutually critical towards each other: it is not the same thing to discover a work alone at home, on your browser and in a white cube with other people. It is particularly interesting for us when our pieces can be fully received on each space, even if they are not necessarily seen as artworks. We’d like to continue A Truly Shared Love next year, in order to produce a medium-length video. We also consider working on pieces which would be included in the movie, as decor items in the videos and autonomous artworks in the exhibition space. We would also like to explore surface effects like we did with our video Lightning Ride. The video is based on found documents of Taser certifications, where people are tased in order to be allowed to use the weapon; we added, frame by frame, the (in)famous Photoshop oil painting effect which adds an interesting distance to the content. Again, showing in an obvious manner the artificial, revealing every second how the image was made through an “anti-illusion” process, in order to get closer, to reach emotions that are difficult to define and formulate.